How to Choose the Right Business Structure For Your Polish Investment? 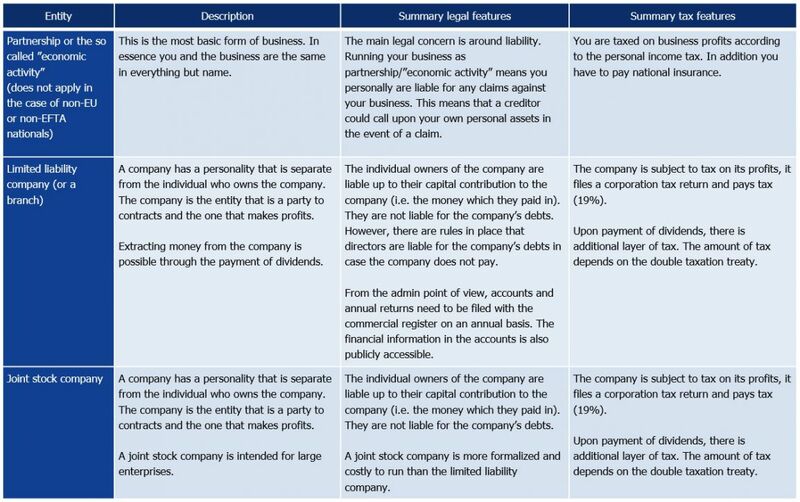 Sole trader, partnership, limited liability company or may be the joint stock company? There is no “one size fits all” answer, and deciding whether you should run your Polish business as a sole trader or a limited liability company can change on various circumstances. The recent forecast of GDP growth for 2018 in Poland is promising. According to the recent prognosis of the World Bank, Polish economy will grow 4 % which is the highest rate in Europe. Why the prospects for Poland are so good? The first positive feature is Poland’s rising importance as a regional leader. Poland is a key player in the Intermarium project (a group of 12 states in the Central and Eastern Europe) which assumes closer integration of the CEE countries and deliveries of the LNG from the US. Delivering natural gas to Poland and establishing a solid network of CEE countries on the north-south axis could be a game-changer. In this way, Poland has a great chance of becoming a regional powerbroker, with the prospect of playing an important role on the international arena. A second positive feature is strong internal market in Poland and attractiveness of its real estate market. It is a golden age for the Polish real estate projects. Being a sole trader means being in business on your own. It’s a relatively straightforward structure, where you are self-employed and, legally, you and your business are considered as one. It’s the most common structure used by self-employed individuals and small businesses. On the other hand - a limited liability company is legally separate from the individuals who set it up, so it is responsible for its own debts. If things go wrong, it’s the company that goes bust, not you – as long as you can establish that you have run the operation legally and in good faith. Limited liability companies can also add to your credibility if you’re dealing with other businesses. On the downside, you are required to submit annual accounts to Commercial Court, and there is an increased level of administration and government regulation to deal with. Below, I present some basic information about the most common business structures which are available in Poland, and some of the questions you need to ask before making your mind up, or seeking out the professional help.